I have never used drugs or smoked cigarettes, but I have used Google Analytics. Luckily Google Analytics will not harm your body, but if you have used it for a long time you might get abstinence’s when restraining from it for hours, days and weeks. Google Analytics is a superb tool for analyzing your website and keeping track of visitors. Using it you can find out how long a visitor stay on your site, what sites they watch, if they use mobile phone or a computer, what browser they use and much more. It is very important to know your visitors and Google Analytics is a great tool to accomplish this. Not long ago I realized that there is a real-time tool for Google Analytics. I tried it and got hooked! As I published an article I could take a look and see exactly how many people came to the page immediately as a post was published. I could do the same as I posted a new blog post to the Facebook fan page. I always liked Google Analytics, but the real-time stuff was cool and addictive. What about a Google Analytics break? This week I said to myself that I would take a break from Google Analytics. Not a permanent break, but I just wanted to take some days not visiting Google Analytics at all. I also hoped that it would help me spend my time more wisely. I don’t say that Google Analytics is a waste of time, because it’s not. It is a great tool and it will help you a lot as a webmaster and if you are not using it yet, head over to Google Analytics right away. In my little Google Analytics fast I suddenly asked myself a question. What would I do if I never got any statistics about how many people visited my site? What would I do if none read what I’m writing? Why am I really writing a blog? Is it convince myself that I am important? Or am I writing because I enjoy it and because I feel it as something that God wants me to do? After all, if God wants me to do something, then I should do it no matter how many people visit my page. We should not despise what we are doing (no matter how many visitors your blog has) if we do it for the Lord and not as for men. The question is not whether to check Google Analytics daily or not. The question is more a question to the heart; Why are you blogging? Are you writing to get praise from people and to feel satisfied, or do you feel satisfied and write to praise the creator of everything? 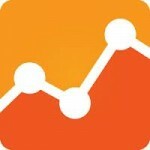 really great post i see today about google analytics… Thanks. Never thought about that. I Love google analytics. Why do I have the feeling that you have not really read the article?